Summer is coming, everyone. And with summer comes a whole slew of things we adore. Sunshine, the beach, a good book by our side, and splashing around in the water. (Not with the book.) There’s nothing more relaxing than chilling at the beach, laying in the sand, or calmly playing in the cool blue ocean. It’s hard to make those very classically lovely things any better at all, but someone out there has. Though water parks and/or playgrounds may not be everyone’s thing, this one is special. It’s an inflatable water park. And it has a giant unicorn. Meet Inflatable Island, currently based in Olongapo, Zambales in the Philippines. Inflatable Island is just as exciting as it sounds. This wildly Instagrammable location is basically a rainbow floating playground. The colorful inflatable water park is comprised of swings, bridges, towers, and floaties. 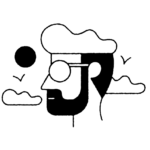 It opened in April of 2017 and has quickly become one of those things everyone in the world seems to Instagram. And we get it! It’s beautiful. With the recent addition of Unicorn Island, Inflatable Island is just about the cutest thing we’ve ever seen. When can we go? Great news: Inflatable Island may be coming to the U.S. soon. 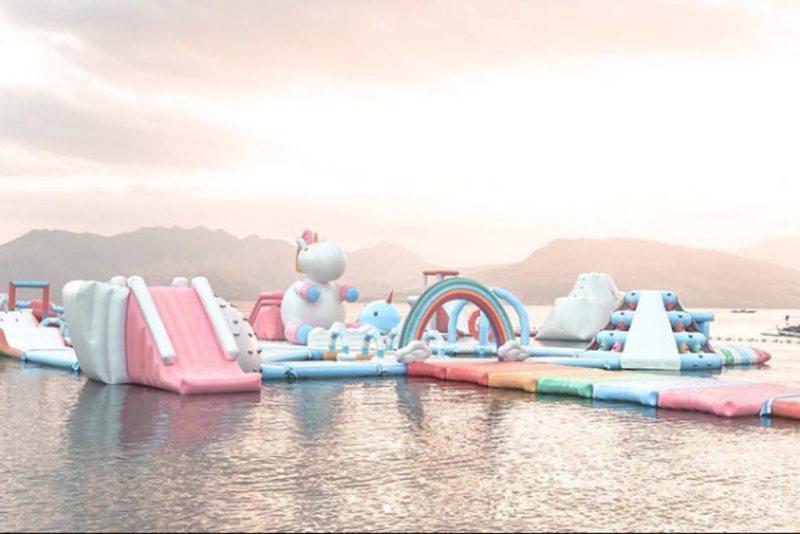 Though Inflatable Island is currently only in the Philippines, because of its popularity, the creators have plans to bring it to the United States! Inflatable Island’s managing partner Tasha Reyes told Refinery29 that they are working hard to expand. "We are now looking for beaches around the U.S. and Europe, so we can expand immediately." Look at that giant unicorn. LOOK AT IT. We want to be on that floatie so bad. The rainbow walk is a big hit too. It’s a great excuse to buy a rainbow swimsuit, TBH. We cannot wait until this beautiful, inflatable water park world comes to us. Do you think we can sit on the narwhal?